The brake warning light is not one of those lights you should cover up for the “out of sight, out of mind” approach many take when dealing with illuminated dashboard warning lights. Driving with malfunctioning or failed brakes can be extremely dangerous to both you and those around you. 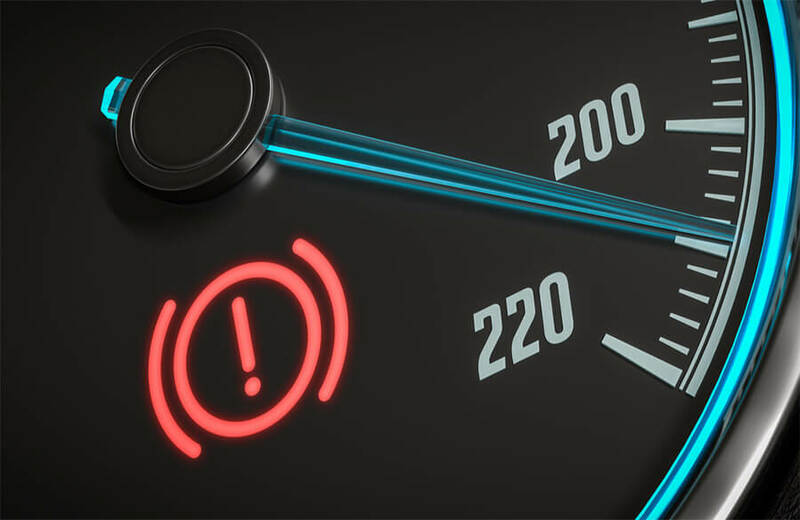 If your brake system warning light switches on and stays on, consider the following possible issues outlined in this guide that your vehicle may be experiencing. Note: The brake warning light should not be confused with the tail light, the brake light bulb in the rear of a vehicle that illuminates when the driver presses on the brake pedal. A break light on dashboard is a warning indicator located near your odometer on your dashboard, while car tail lights are the lights situated physically outside on your vehicle. Introductory Brake Maintenance for the First Year! The brake system light, typically a red or yellow circle symbol with the letter “P” or an exclamation mark “!” in the center, illuminates in the event that your vehicle’s parking brake is engaged. Do not attempt to operate your vehicle while the parking brake is engaged. Doing so will badly damage its brake pads and rotors. 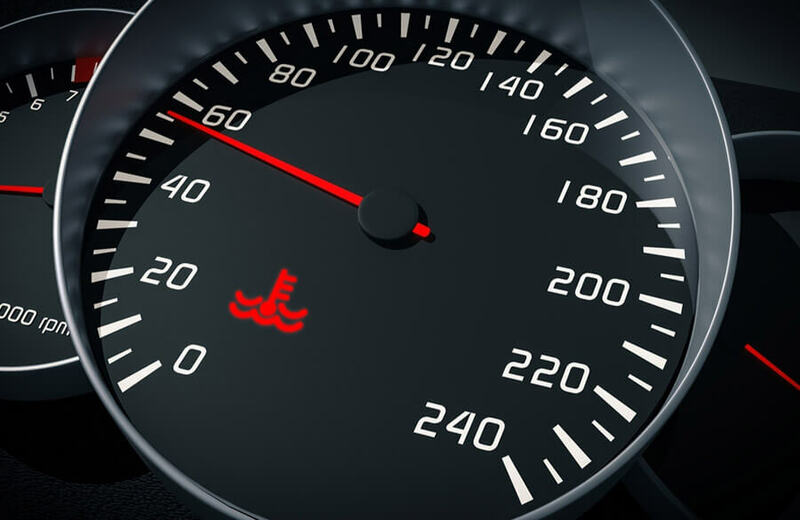 If you discover that your parking brake is engaged, disengage it and check if the brake warning light turned off. If it did not, it may be that there is an issue physically with your parking brake not being able to fully disengage. If your parking brake was not engaged at all, it may be that there is another issue causing the car brake light on the dashboard to remain on. Your vehicle’s brakes require brake fluid in order to operate properly. 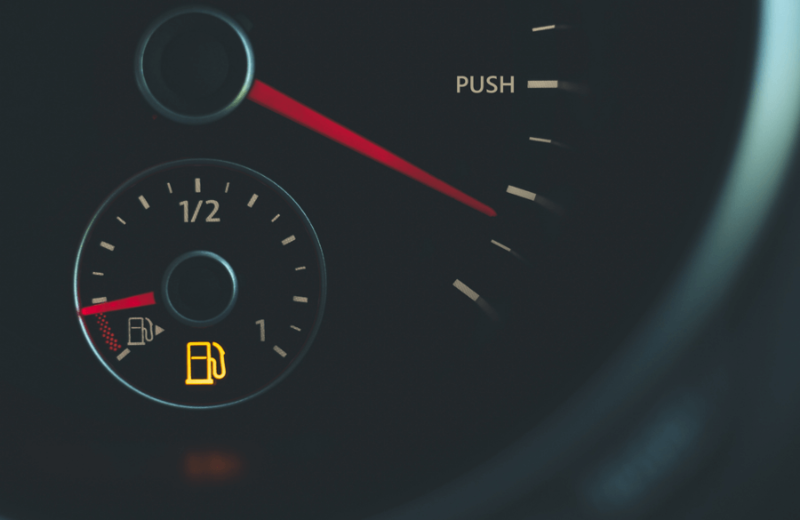 Many vehicles utilize a yellow brake warning light with an exclamation mark “!” to act as a low brake fluid light which warns that the vehicle is running low on brake fluid. Refer to DriveSmart’s guide on brake fluid to better understand what brake fluid is and how you can replenish your vehicle with it. Some vehicles utilize red flashing brake lights on the dashboard to warn that the vehicle is almost low or completely low on brake fluid. It is also very possible that this red light is warning of a malfunctioning hydraulic system within your brakes. If you find that the light comes on and stays on, bring your vehicle to a certified mechanic that will be able to properly diagnose your braking system and ultimately repair it. The warning light you are receiving on your dashboard may be an anti-lock brake light warning indicator. Most vehicles are equipped with a system known as the anti-lock brake system that help prevent the wheels from locking up and tires from losing traction in slippery environments. Usually, anti-lock brake systems utilize its own warning indicator separate from the brake warning light that says “ABS”. However, some vehicles do not have an “ABS” indicator and you should always refer to your vehicle’s manual and confirm what each dashboard symbol means. If you find that the brake lights do not turn on at all, it’s likely that the bulbs have burned out and require to be replaced. Luckily for you, knowing how to change a brake light doesn’t require mechanic level knowledge. You can easily Google “brake light replacement” and find many guides on how to fix a brake light. However, if it is discovered that your vehicle is exhibiting any other symptoms besides a burnt light bulb, immediately take your vehicle to a certified mechanic who will be able to determine whether your vehicle and its brake system is suffering from something more serious. Malfunctioning brakes can be deadly for both you and those on the road around you. If you need work done on your brakes give our Ultimate® Savers Club a once over.